Swipe left on boring dates, and Swipe Right for something unique and fun! 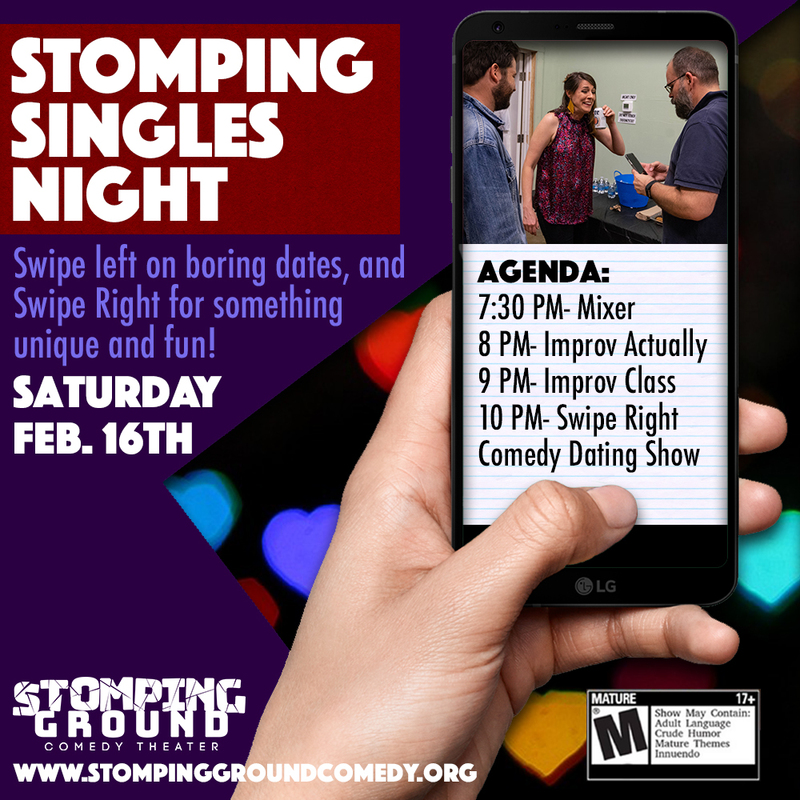 Whether you're new in town or experienced in the Dallas dating scene, head over to Stomping Ground Comedy to meet new people and share some laughs about the craziness of dating on Saturday, February 16 at Stomping Single's Night! Kick off the evening at 7:30 p.m. mingling in the lobby and then head into the theater at 8 p.m. for Improv Actually, an improv show inspired by the audience's stories of love. Following the show, join us for an improv class designed to help you make new connections and get out of your comfort zone. 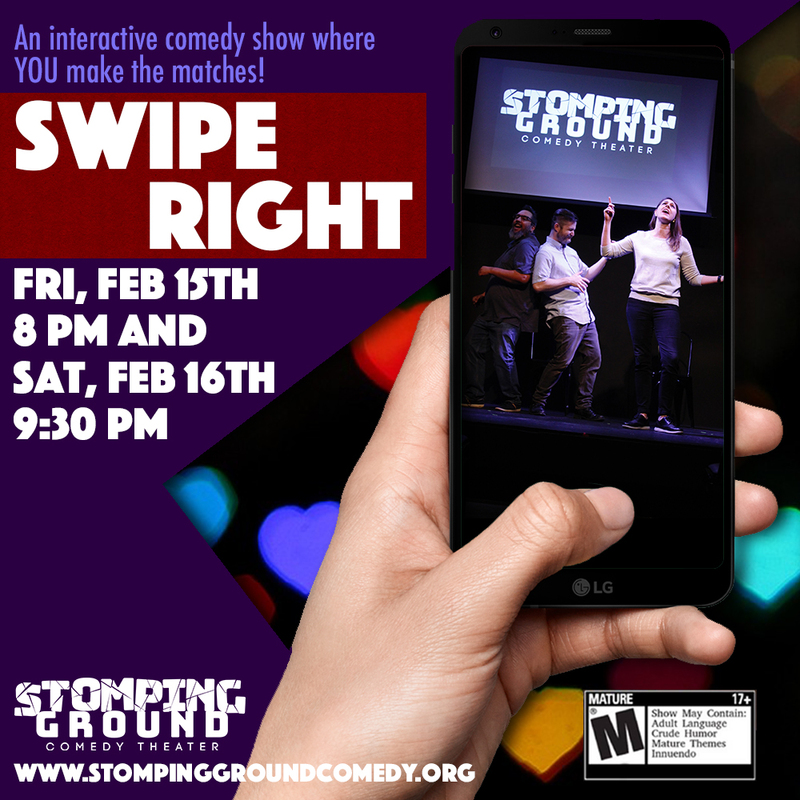 Then stick around for the comedy dating show Swipe Right at 10 p.m. Part of a couple? Come join us, too- all dates are welcome! Celebrate the joy and hilarious pitfalls of Dallas dating at Stomping Single's Night! 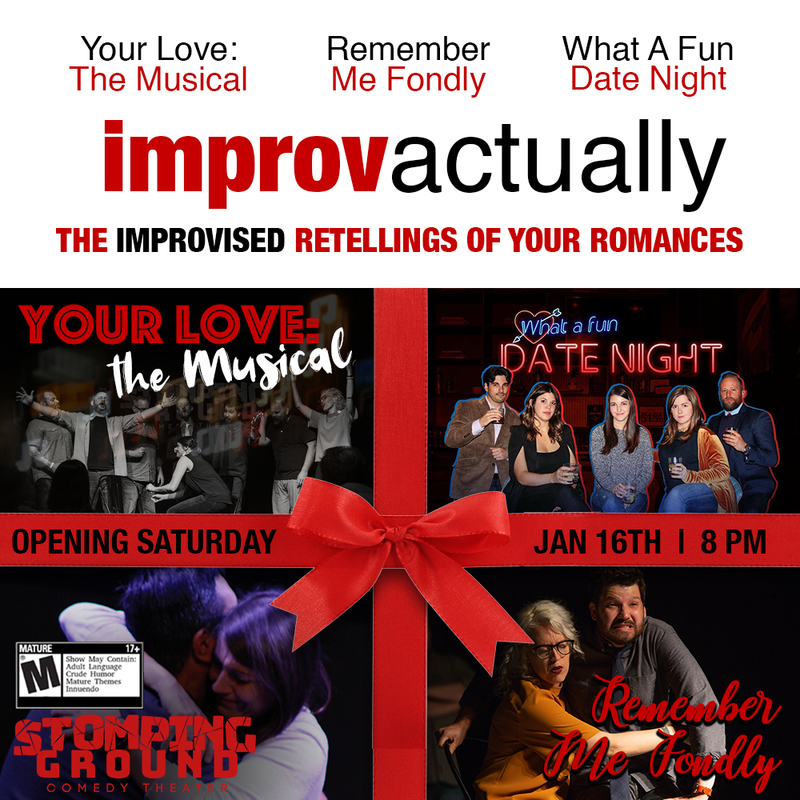 Celebrate Valentine's Day with improv that's all about love, actually. Kick off the evening with What A Fun Date Night where one lucky couple gets to see their beautiful relationship played out on stage. For all the singles out there, you'll love Remember Me Fondly, where we examine a hilarious look at both sides of a failed relationship. And then round out the night with Your Love: The Musical- a chance to hear your story immortalized in song! With three fantastic groups, Improv Actually will take you on a roller coaster of love you won't want to get off.